I want to pose a question to you: Have you identified the childish ways in your life? A child is by nature selfish whereas a mature person is not consumed with self. The primary thing that measures true maturity is how much you have overcome selfishness. Maturity takes place over time as we put away selfishness. God doesn’t take selfishness away from us. He doesn’t pull and tug until we lay it down. Maturity is all in our court. He waits on us to mature and put our childish ways away. Paul says in Galatians 4:1 that if we choose to remain self-centered, self-consumed and childish, we can miss out on the opportunity to be called an heir of an entire estate. This is how it works: you know deep inside that there is a calling on your life, you’re pressing forward pursuing the calling, you’re almost there and then it happens… you give in to that kid within. It’s like you are almost there, but you haven’t dealt with this kid. The kid within is chattering and whining, questioning why it’s taking so long. After hearing “this is no fun, when are we going to be there?” you give in, and you stop at a playground to let the kid within play a little while. Over time you realize that the kid was you, and when you stop to play and satisfy the kid within you crossed the line and now you’ve got a mess to clean up. The kid within is by nature selfish and wants what he/she wants and they want it now. The kid within may sit quietly in the back seat for years and then all of the sudden he/she begins to chatter. I see this happen around 40, and it’s not the mid-life crisis either. Its unresolved pain from childhood. Growing up your childhood was cut short by your parent’s sudden divorce. You didn’t get to do some of those fun things like going to Disney or Sea World. You missed out. That kid in you was a good kid, but just didn’t get to do all the fun things. As an adult this desire for fun is still in you and it whines at times. You don’t think about this kid much until it starts whining louder. You may give the kid a piece of gum or let it watch a fun movie once in a while. But, it’s still there wiggling and squirming and not wanting to sit still in church when it seems boring. That little kid is in all of us and Paul said in Galatians 4:1 we all have to resolve it to be able to handle the responsibility of our full inheritance. If the kid within was deprived and missed out on things, you may want to comfort it and just try to pacify it instead of putting it away. But, pacifying only lasts for a little while and then you hear that nagging again, “this isn’t fun.” The call of God requires us to lay our selfish ways down. We can’t serve God and self. As we mature we realize there is a time to press on towards the high calling of God. The only way we can press on is to lay our selfishness down. If the kid within you has not been dealt with, and it is predictable, this is when that kid will act out. When you are pursuing God’s calling be aware that if there are unresolved things from childhood they will surface. Be aware of them. Resist them and don’t give in to thoughts like: “no-body likes me” or “no-body loves me” or “no-body cares/knows how hard this is”. Even thoughts like “It’s taking too long, it shouldn’t be this hard” can be from unresolved childish issues. When you have a calling from God, it is an upward calling and it will get harder as you climb up the mountain. You will need to stop and rest a while so be prepared to wait on Him to tell you when to move forward. He’s not slow, He is just waiting on you to mature so you can handle the pressure of the assignment on the next level. Waiting matures you. Waiting on God grows you up as you resist giving in to selfish ways of self-gratification. Selfishness can be overcome as you resist it and wait on the Lord. 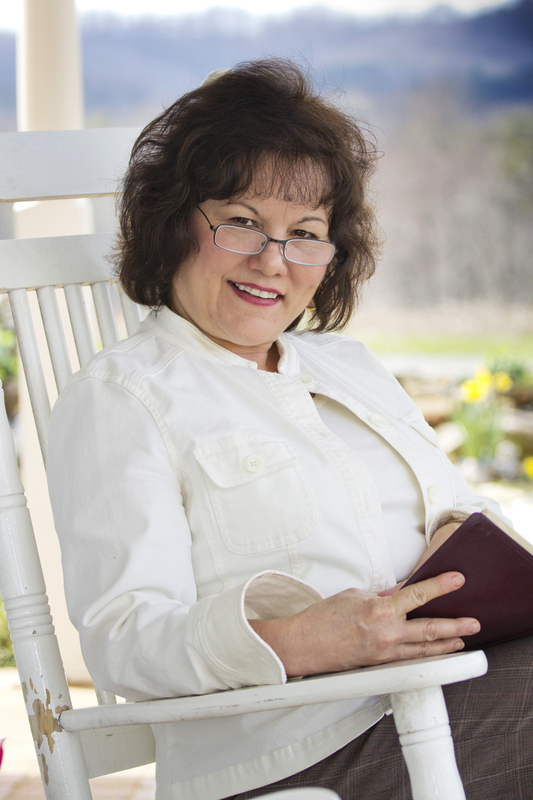 Co-founder of Living Waters Ministry, Denise Boggs is passionate about healing and has a deep hunger for the Word of God. She is the author of over 20 workbooks and multiple small group curriculum. Denise has also written the full-length books, “Healing and Restoring the Heart”, “Restoring the Family”, and her newest released: “Breaking Free from Sickness and Disease”.